It definitely seems the media is currently engaged in a full court press against gun rights. But Why? And what does it mean? Believe it or not, I don’t think this necessarily is bad news for gun owners, but that doesn’t mean we can relax and stop being vigilant. It’s times like this that are important, but not because it’s a sign we’re about to start losing. The main reason we’re seeing this media blitz is because of the Democrats taking over the legislative branch and generally gaining power. The anti-gun groups will be doing everything they can to get the gun issue back into the spotlight, so expect a lot of press releases, deception, and lying. And we must be aggressive about calling them out for it, and not let them an inch of breathing room. This is an act of desperation, not an act of strength. The anti-gun groups know that if the Democrats actually abandon their issue, they are dead politically for the foreseeable future. I am not optimistic that we have won over the Democrats enough that they will actively work for us, but I think we have scared them enough that they are afraid to work against us, and that’s a tremendous accomplishment. But we have to keep them scared. Keeping up the fight will mean writing letters to the editor challenging anti-gun editorials, and biased and inaccurate reporting. It will mean writing letters to politicians and your represenatives and making sure they are aware of your opinion on these issues. 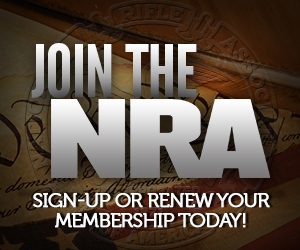 Probably most importantly, and I know a lot of people don’t like to hear this, it means making sure your NRA membership is current, and if it’s not, joining. Keep up your membership in the other groups if you like (I do) but the NRA is who the politicians in Washington and the state houses pay attention to, and how much attention the politicians pay is directly proportional to how many votes they bring to the table. Who knows, if we’re effective enough, we may even be able to get the Democrats to figure out they have more to gain by working with us than against us. Imagine how demoralized that would make you feel if you were a Brady supporter?